The natural environment gives extraordinary possibilities to the sportive practice and it consists of a background of a particular educational warmth. Which is the relationship between sport and Nature inside the Environment crisis context, in which we are living? Can sports give a specific contribution to the development of an authentic ecological conscience? 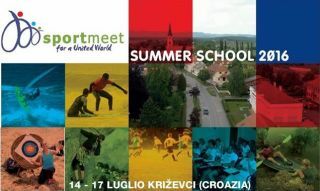 The Summer School is open to: sportive persons of any level, age, discipline, sport managers and administrators, sports teachers, sports instructors, teachers and students of Science of physical and sports activities, operators on sportive communication, referees, doctors , psychologists, physiotherapists and others related to sport, both in the agonistic field and in the recreational field.